A perfect example of rugged design and functionality. The 100% cotton weave presents an incredibly soft feel. Features a durable 100% woven cotton fabric, so you can be sure that your clothing will fight against the cold as much as against normal wear and tear. 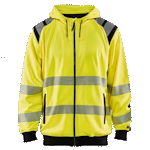 High visibility sweatshirts are constructed of a comfortable high density polyester material. 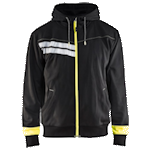 Tingley’s Job Sight products make ANSI 107 compliance for high visibility apparel easy. A practical assortment of durable, comfortable hooded sweatshirts to keep you warm while you work. What customers love about this hoodie is how perfect it is when it comes to the level of warmth and weight. It only weighs 10.5 ounces. That means it won’t weigh you down if you are trying to move quickly to get your work done. Midweight means that it doesn’t weigh you down when you’re working. This soft fleece hoodie is only 10.5 ounces. This means that you can throw it on and keep working at the speed that you usually do with just a t-shirt. When the temperature gets cooler, you need a shirt that is going to keep you comfortable. That’s what this Long Sleeve Heavyweight Henley does for you. Dickie's has thought of everything when they crafted this work shirt. They have kept the tag off the back neck, so you don’t get that itchy feeling when you work. We’re proud of every piece of clothing we offer at Contractor’s Solutions, and that goes for our wide array of sweatshirts as well. You might think, “A sweatshirt is a sweatshirt,” but that’s not really the case. Sweatshirts come in a lot of varieties, and that means you can get exactly the one that meets your needs.